Things happen for a reason. We were meant to be friends. This is our life, this is our story. Music no.21: Ost & Kjez. The rhythmic Friday morning comes directly from Norway! 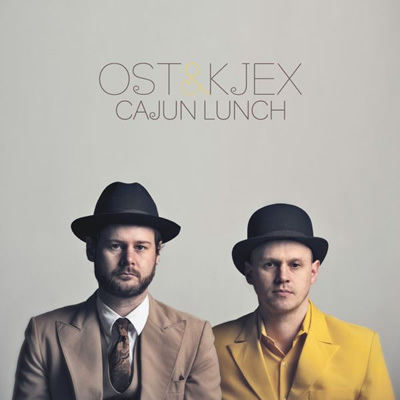 Ost & Kjez in fact are a duo consisting of Nordic Tore “Jazztobakk” Gjedrem and Petter “Hi-Fi” Haavik. Dj and Producer, have sought a beat and their music is always an immersion of fantasy. Impossible not to move in rhythm, head and legs, guaranteed! I leave you to Mosambique Travelplan! Il ritmato venerdì mattina arriva direttamente dalla Noervegia! Ost & Kjez infatti sono un duo nordico composto da Tore ”Jazztobakk” Gjedrem e Petter ”Hi-Fi” Haavik. Dj e Producer, hanno un beat ricercato e la loro musica è sempre un’immersione di fantasia. Impossibile non muoversi a ritmo, testa e gambe,garantito! Vi lascio a Mosambique Travelplan!